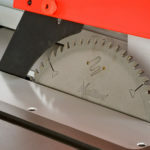 TableSawGeeks.com is owned and operated by and may contain advertisements, sponsored content, paid insertions, affiliate links or other forms of monetization. TableSawGeeks.com abides by word of mouth marketing standards. We believe in honesty of relationship, opinion, and identity. The compensation received may influence the advertising content, topics or posts made in this blog. That content, advertising space or post will be clearly identified as paid or sponsored content. TableSawGeeks.com is a participant in the Amazon Services LLC Associates Program, an affiliate advertising program designed to provide a means for sites to earn advertising fees by advertising and linking to Amazon.com. Amazon, the Amazon logo, Amazon Supply, and the Amazon Supply logo are trademarks of Amazon.com, Inc. or its affiliates. Product prices and availability are accurate as of the date/time indicated and are subject to change. 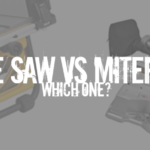 Any price and availability information displayed on TableSawGeeks.com at the time of purchase will apply to the purchase of this product.